We had a wonderful family vacation over the Easter holiday. We picked up Shannon's parents in Virginia and stayed a night in the area touring historic Williamsburg (the original national capitol) and one of the original colonies in York. 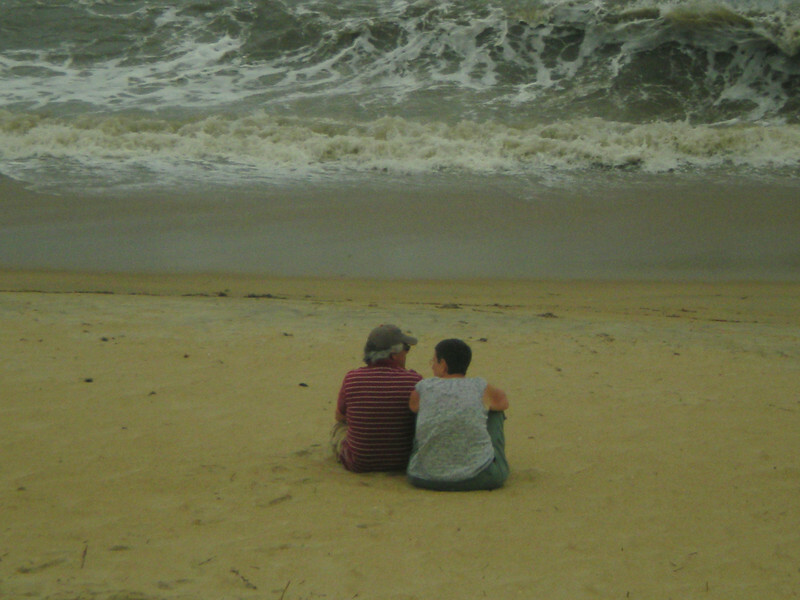 The next day we drove to the Outer Banks to begin our holiday in Duck. We rented an 8 bedroom, 7 bath house, called The Beach House on the Moon. Erik, Sara and Carolyn, who had been in Raleigh, drove up and met us there. The vacation was relaxing and adventuresome all at once. With my parents we visited four of the Outer Banks Lighthouses and explored Cape Hatteras National Seashore. We all enjoyed our walks on the beach and family dinners together. Erik and Joe got to play golf and I got to have a spa day with Sara and my Mom and Carolyn got her first Easter basket. What a fantastic time we all had together!